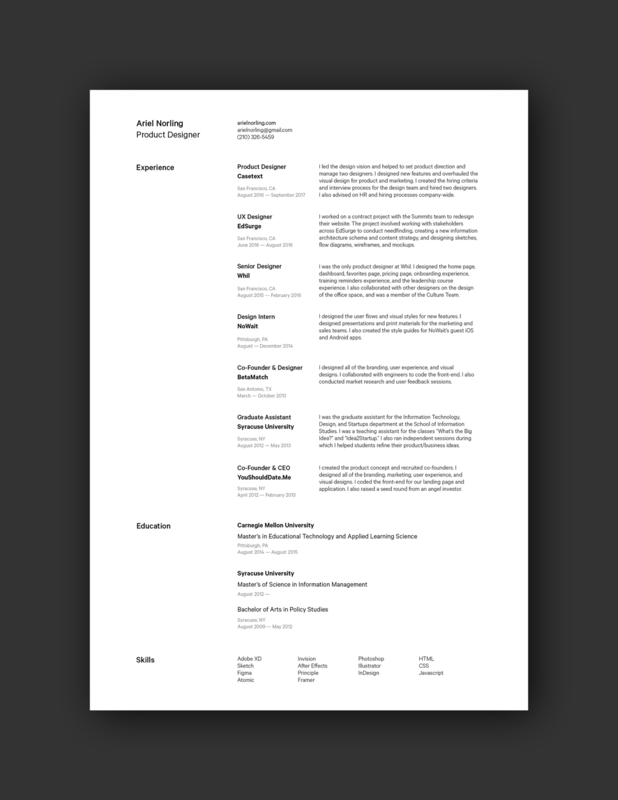 One of the first step in landing your dream job is crafting a UX designer resume that will get you a second look. But what skills, qualifications and information are companies looking for when it comes to UX design employees? 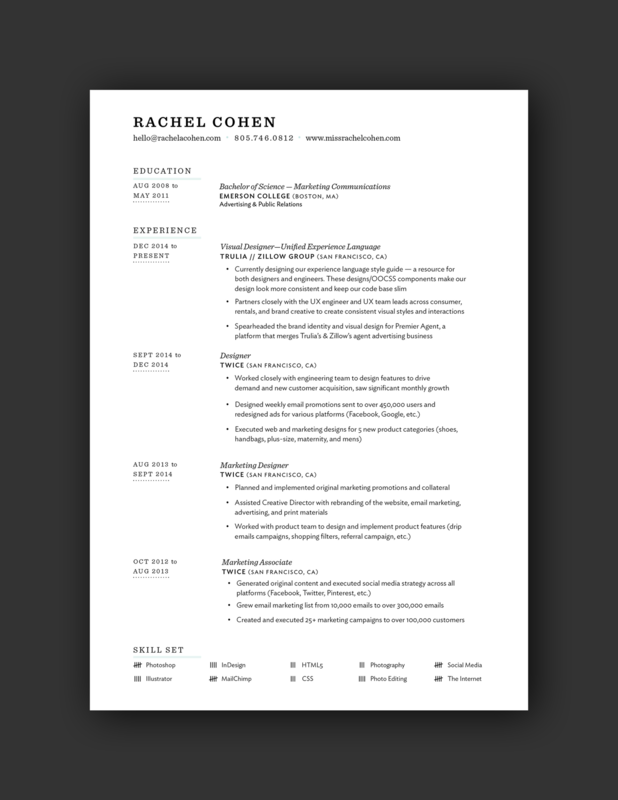 What needs to be on your resume – and how do you design it – so that you get noticed? 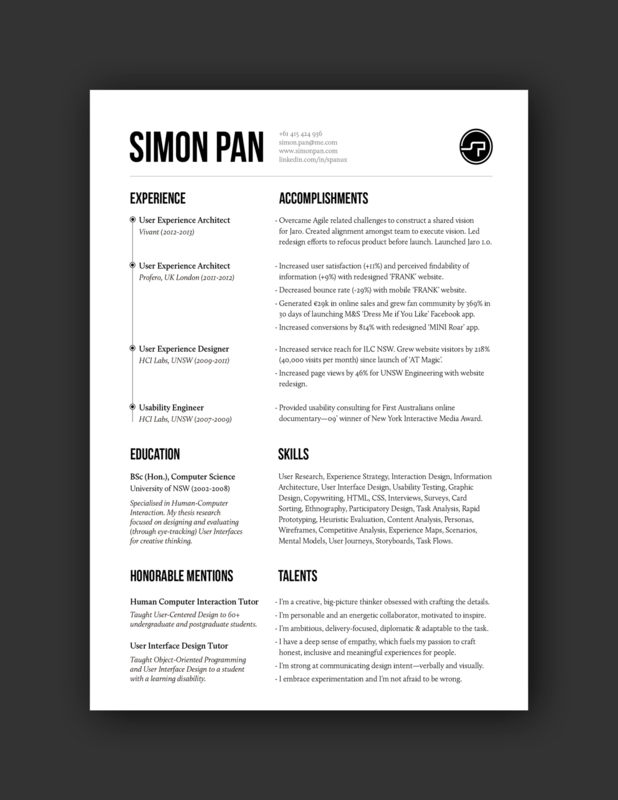 A nicely designed resume is important, but what’s equally valuable is how you explain yourself to potential employers. 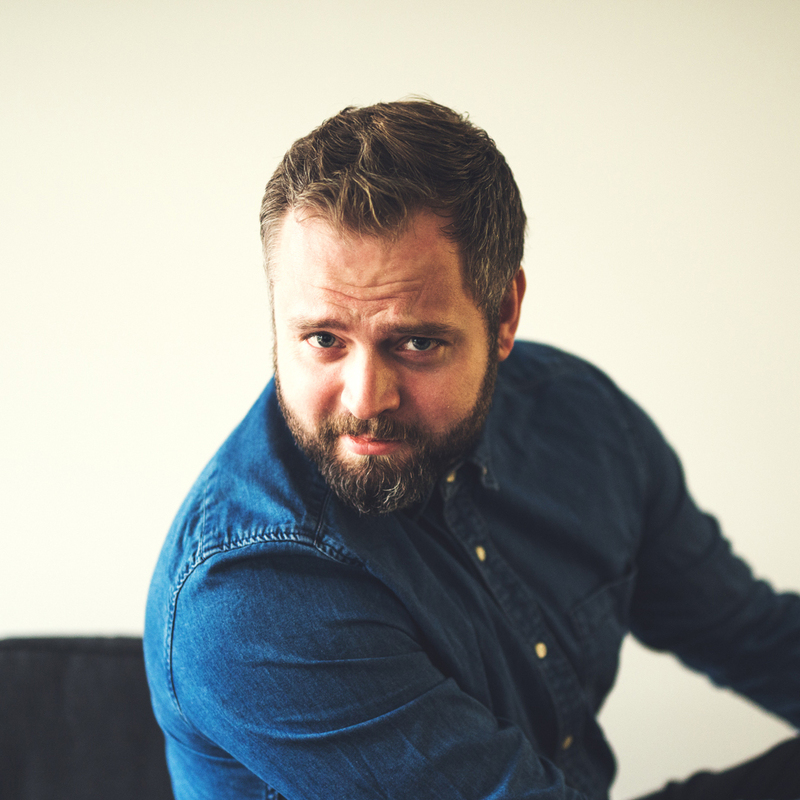 How are you different from the hundreds of other UX design job applicants? 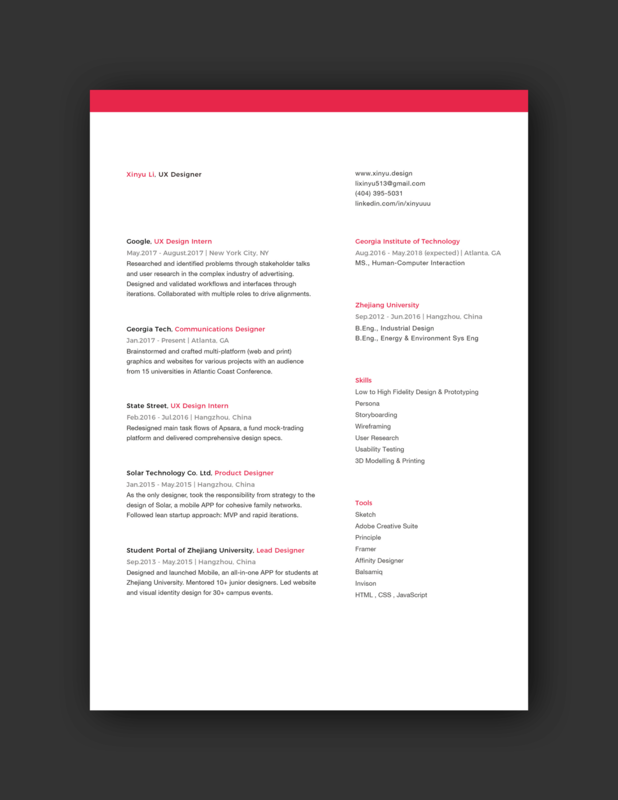 It starts with a well-communicated, concise resume package and a portfolio. Senior Product Designer at Copper. Lead Product Designer at Nerdwallet. Interaction Designer at The Wrecking Crew. 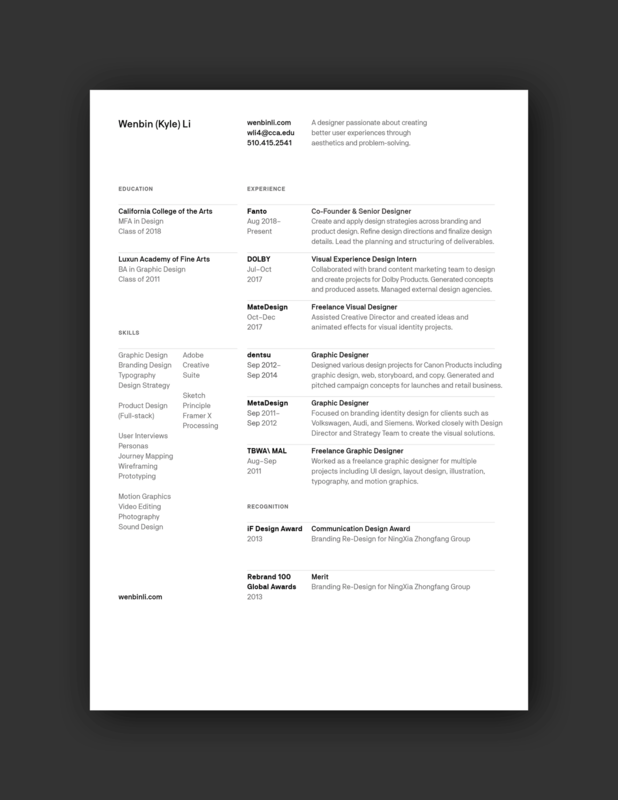 Product Designer and UX Engineer at Google. Senior UX Designer at LinkedIn. Visual Designer in San Francisco. Senior Product Designer at Copper in San Francisco. 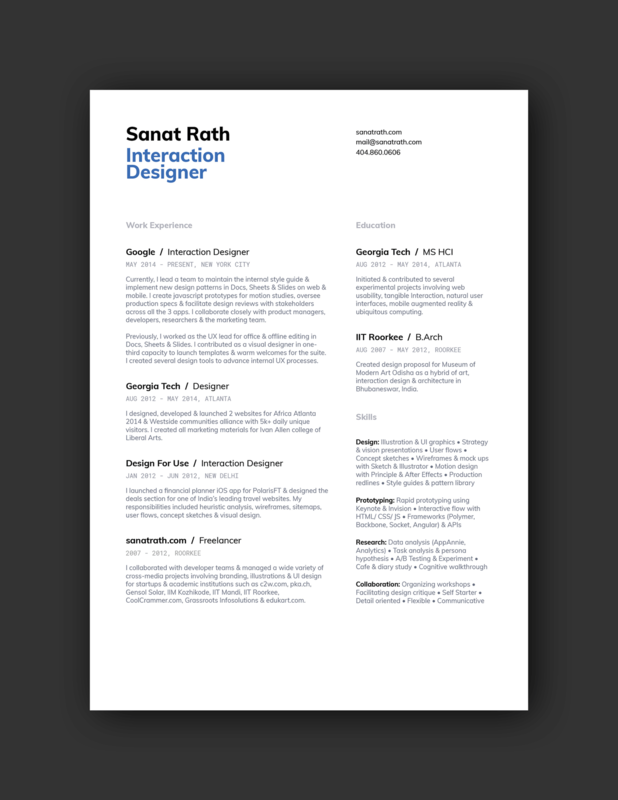 Treat designing a resume, just like a user interface or user experience design project. You need to understand who will be looking at the resume and design for that audience. Make sure to read the job posting carefully so that you fully understand what the company is looking for. You want to write your resume to include elements that match the job posting and are in line with what the company does. This can be even more important when applying for a digital design job with a company that doesn’t necessarily specialize in that area. A good understanding (make sure to do your homework) of what a company does can help you shape how to start the resume-writing process so that you “speak” to the right people and make a solid first impression. Stupid little mistakes are the things that will get your resume tossed quickly. Many hiring managers are actually looking for reasons to reject candidates, so your resume has to be practically perfect to make the first cut. Here are some of the mistakes that will get your resume tossed. Don’t make them. Typos or misspellings: Be careful with the cover letter and addressing a person; get their name right! 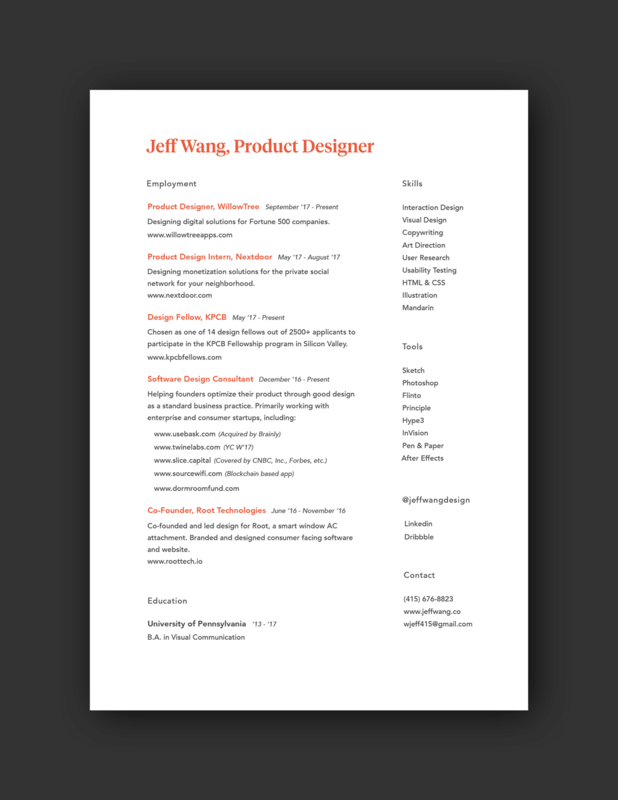 Inconsistent design: Misalignments, sloppiness or too many pages can result in a resume rejection. Mismatched job elements: The job you are applying for and the resume should match. Old or out of date information: Remove old jobs and make sure there are current elements included. 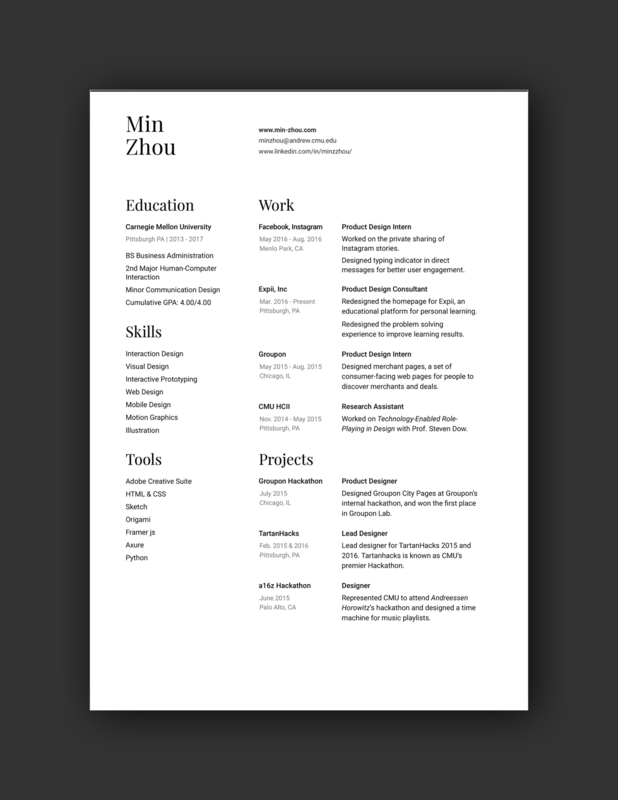 Many designers think a great resume design is somewhat boring. That’s OK.
You probably won’t have a lot of visual elements to work with. And you definitely won’t have the interactive elements that you are used to designing. But this text-heavy design does serve a purpose. Make the more of that usability with information prioritized in a logical manner. 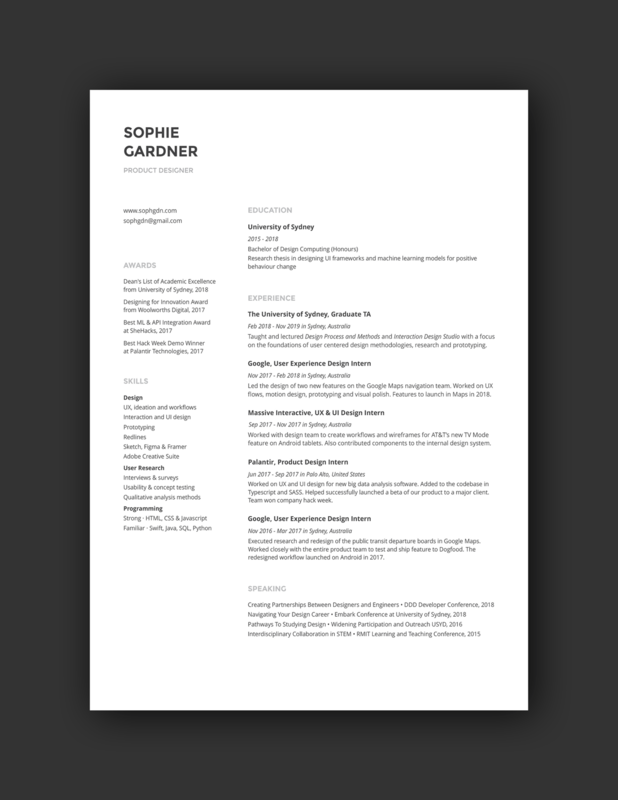 Your resume should work from the top to bottom of the page with a distinct hierarchy of information from most to least important. Always include your name and contact information at the top. The next section should include an introduction (if necessary, but this is more often part of the cover letter) and work experience. Include relevant skills and ability to use key software. This is also a good place to note certifications. Education should be a short section, just college, field of study and graduation year. More details can be included for inexperienced designers; senior-level resumes should only include the basics (don’t let a college-graduate requirement get the resume flagged for rejection). Awards and any other honors should be at the end of the resume. You want to finish with solid information, but not anything that’s vital to getting an interview. When it comes to jobs in user experience and user interface design, skillsets are important. What have you done to standout from everyone else? What tools or software do you use that will impress potential employers? You can highlight these skills on your resume. Skills can be anything from software proficiencies to understanding programming languages to your ability to solve problems creatively. Do you have skills that match your dream job? Take a close look at the job posting. What exactly are they asking for? This will help you determine if you are a fit for the job. If your skills match, then use the same descriptive keywords in your resume. This will show the company that you “speak their language” and are what they are looking for in a job candidate. Making these changes can mean tweaking sections of your resume for each different job you apply for. 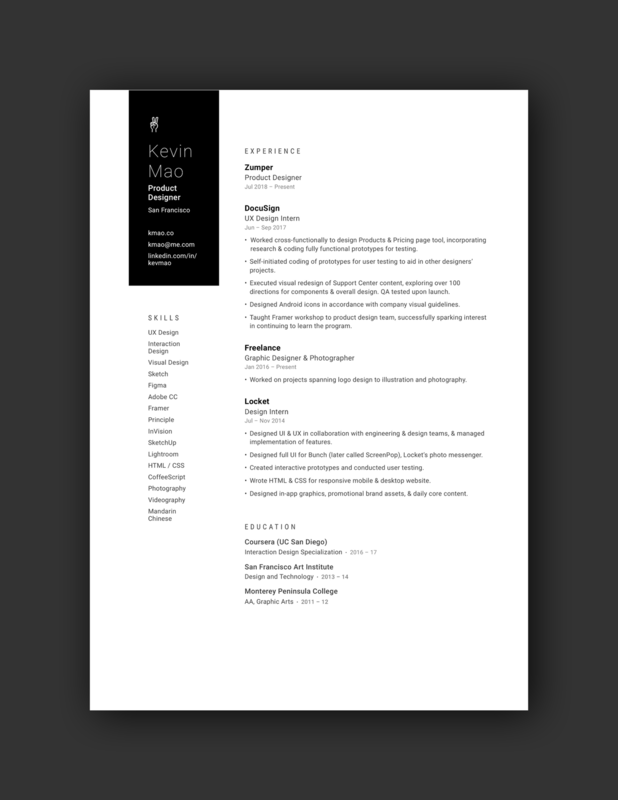 Package your resume to optimize user experience as well. Send everything as a PDF and don’t jumble everything into a single file (unless the job posting asks for it that way). Use the same header or footer on each file so that every page contains your name and contact information. 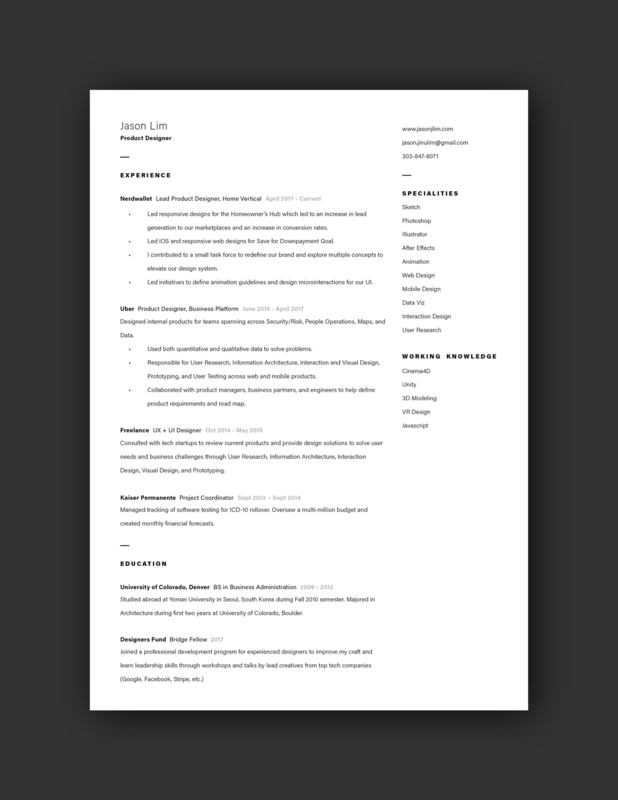 Include a resume file. Name it with your name and the job you are applying for (consider a file name such as“jones-resume-uxdesigner”). 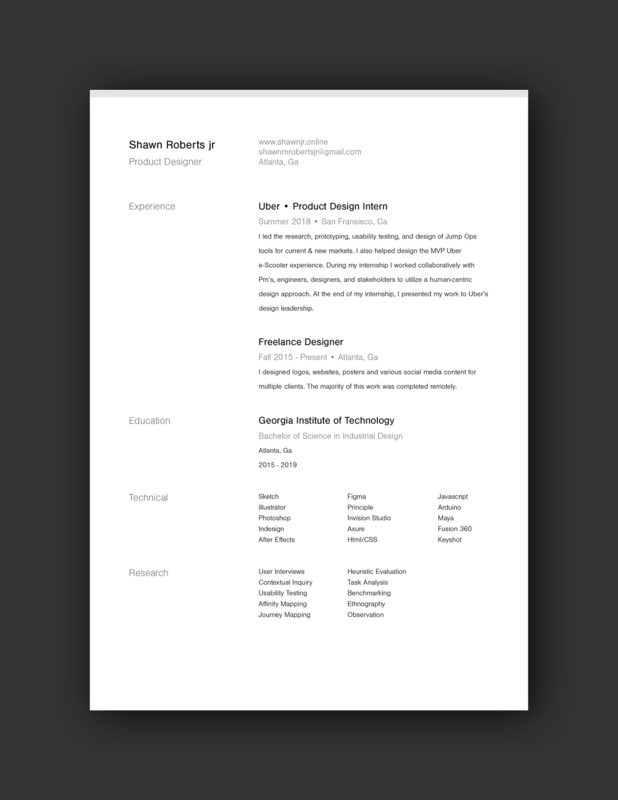 Include a cover letter file (jones-cover-uxdesigner). Don’t over design your resume when looking for a UX job. While what you do at work is highly engaging, interactive and visual, a resume isn’t always that way. Keep it simple, include relevant information and don’t try to use it as a creative showcase. That’s what your portfolio is for. 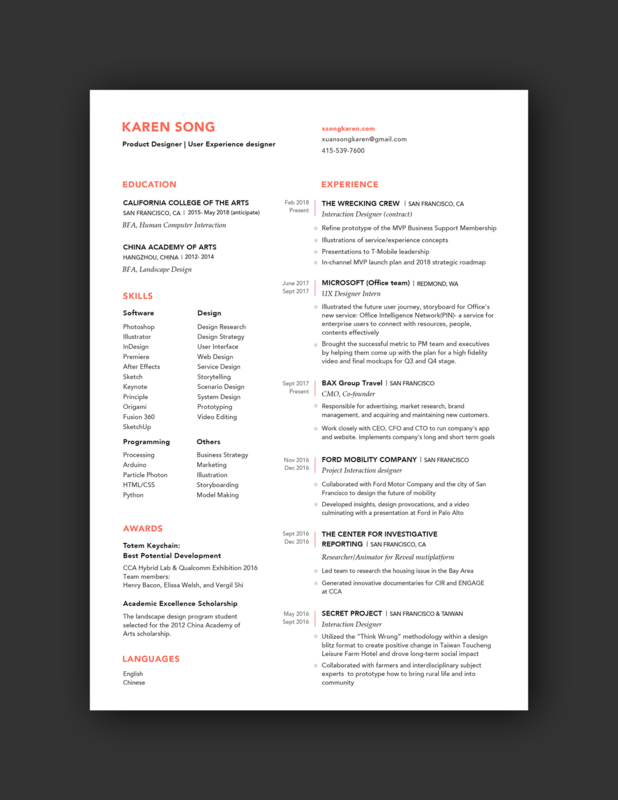 Your resume should be a single page. Cut all the extraneous information, long job descriptions and positions from years ago. 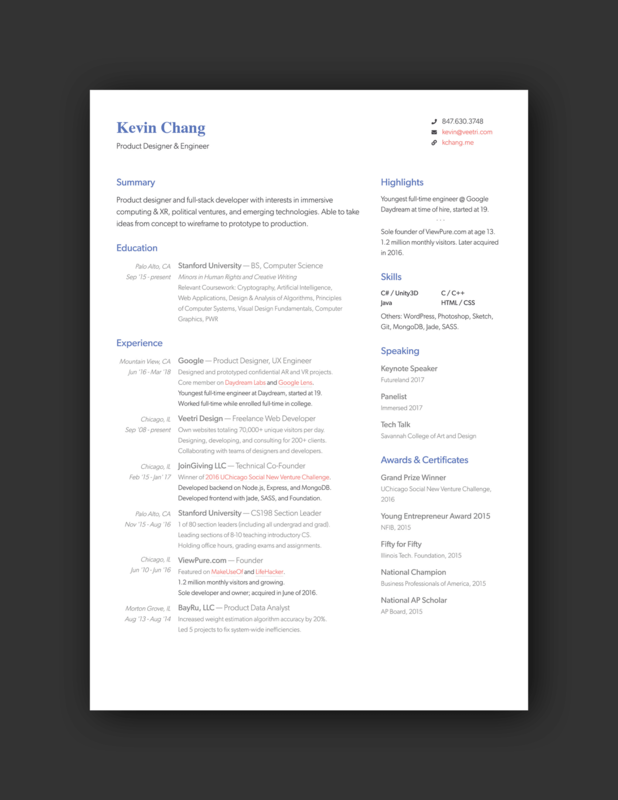 A concise, clean resume is easy to read at a glance and shouldn’t overwhelm users (hiring managers). If you want to provide additional details or information, use LinkedIn or a personal portfolio website and include a link on your resume. Ditch the old-school resume “Objective” section. Instead, highlight a few key project problems and solutions that you developed. Did you create a user interface that resulted in higher conversion rates for an e-commerce customer? Or did you help a client drop their bounce rate with a redesign? Explain how you did it. Outline the problem and solution. 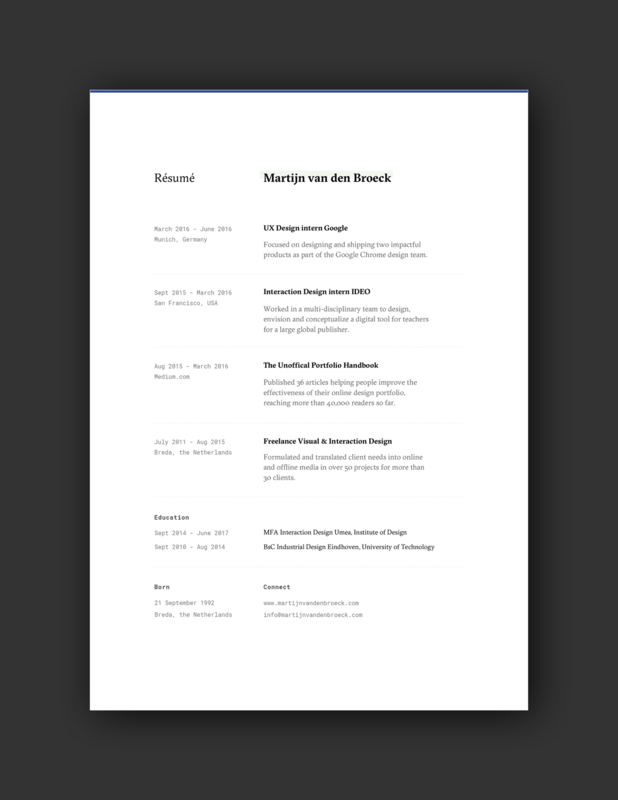 Just like you would design for the user of a digital product, you want to create a pleasurable user experience for readers of your resume as well. Typefaces: Stick to two typefaces or less. Make sure each is highly readable with a medium stroke weight. Stay away from handwriting or novelty typefaces. Simple serifs or sans serifs are often best. Whitespace: Include plenty of space between elements and increase the amount of space between sections so that there is a natural flow from section to section with more white space between unlike elements. 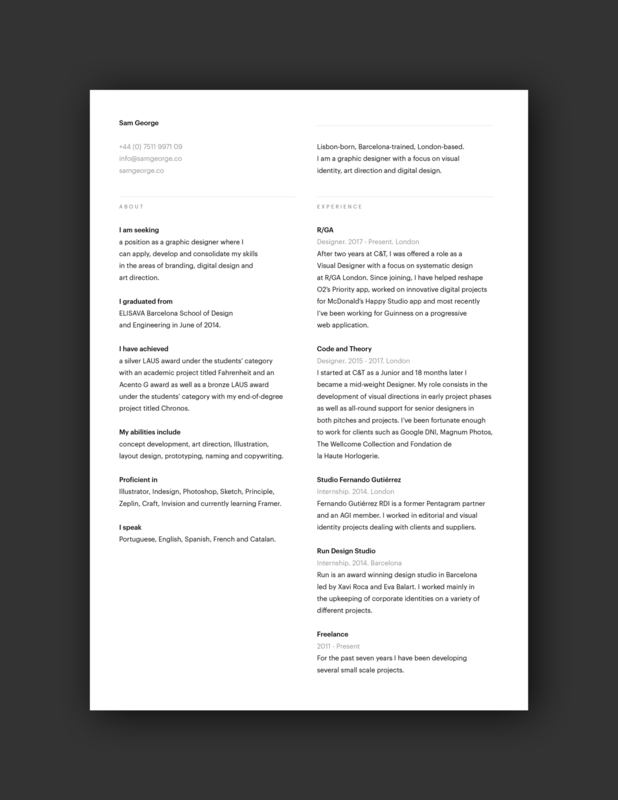 Color: Stick to black text on a white document. 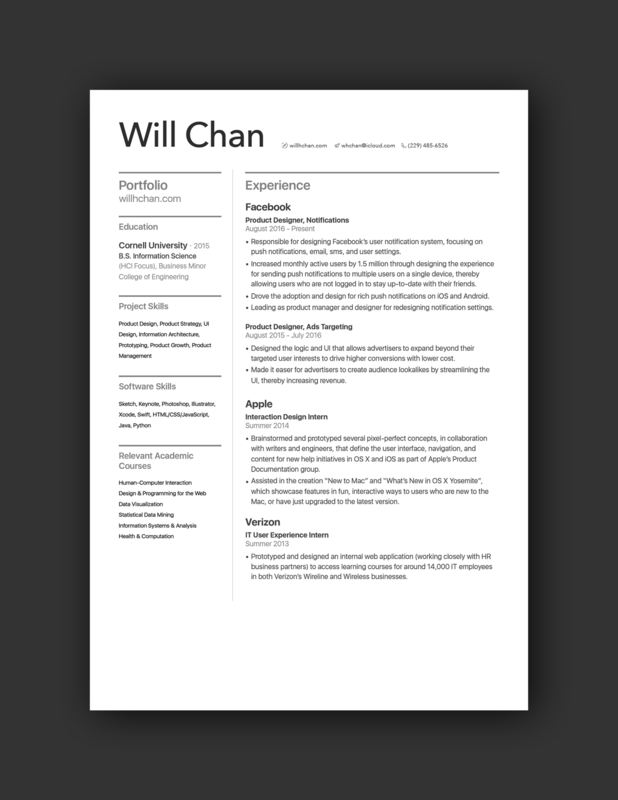 This makes for easy printing – and easy black and white printing – for whoever will look at your resume. It’s acceptable to use a color element or accent, but don’t go overboard. 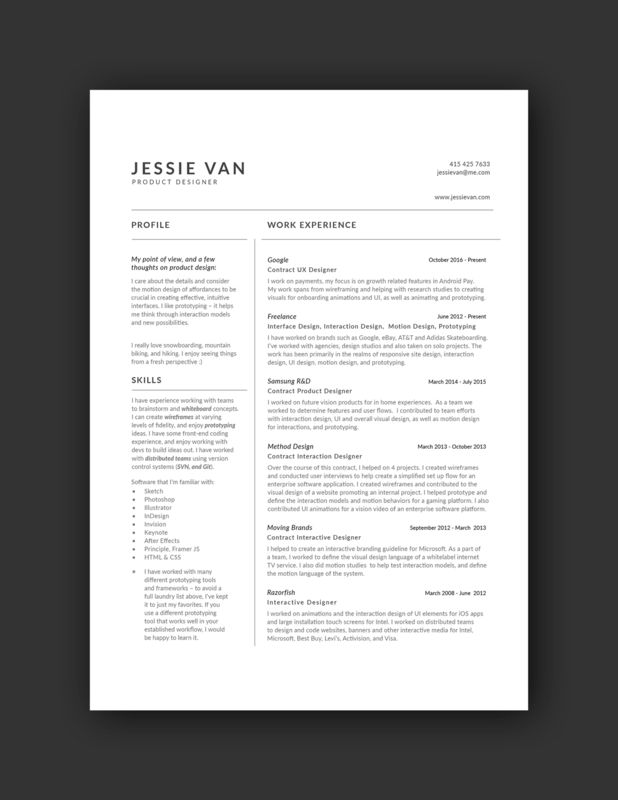 Use a color that’s easy to ready and will print even if the resume is printed without color on standard copy paper. Readability: Line length, breaks in phrases and copy and contrast impact how easy it is for readers to scan the design and pick out key points. 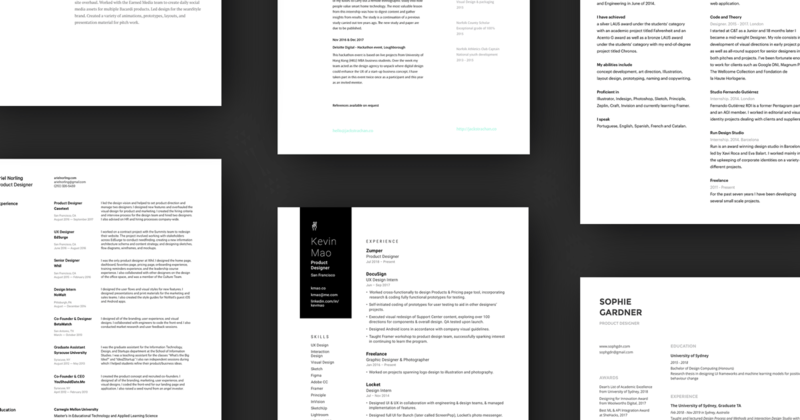 The skills that make you a great UX designer can also help you create a killer resume if you think about it carefully. Consider your audience and how they will read and use your resume to (hopefully) contact and hire you. 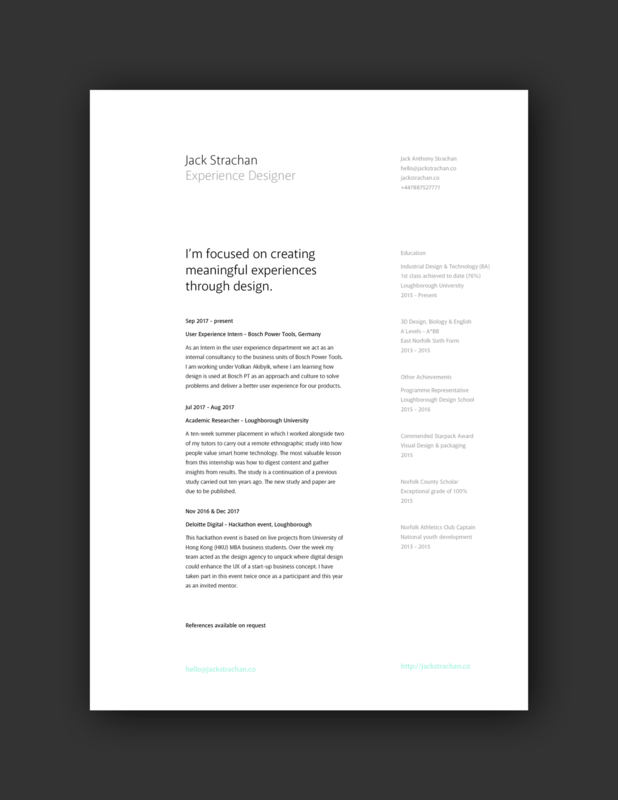 Check out the curated UX case study gallery.